The purpose of the E002 is to monitor and control a smaller number (up to 50) of lights distributed over a territory, not divided into regions. Each light is equipped additionally with the communication controller for monitoring purposes. 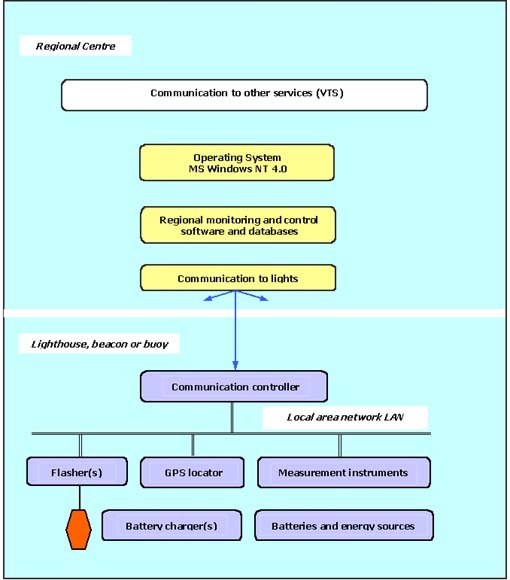 For the monitoring and control of the lights there will be a Monitoring and Control Centre (Regional Centre) consisting of a computer, telecommunication modems and, of communication, monitoring and control software and databases. All lights will be connected with the Monitoring and Control Centre via communication channels.